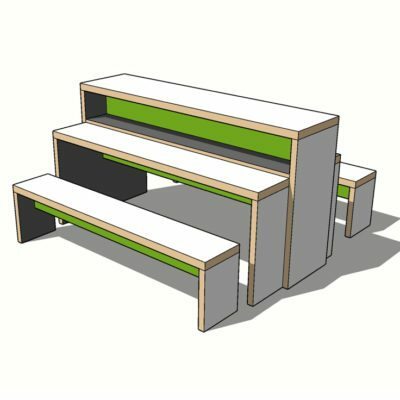 Gather - Learniture® educational furniture. There are parts of lesson when you need to gather a large group of learners together. It may be at the beginning of a lesson when you’re explaining what’s going to go on, or at the end – a plenary with students showing what they’ve done to the rest of the class – peer-to-peer presentation. So it’s best that these areas are focussed: you want to hold everyone’s attention. Maintaining clear sight-lines is one of the easiest ways of helping you do just that which is why tiered seating works so well in these spaces. 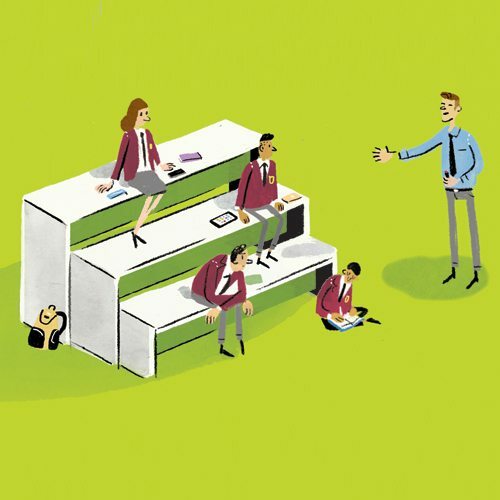 Tiered seating also creates that sense of audience that simply isn’t there when you’ve just got a row of faces sat at serried rows of classroom tables starting at you. And even when they’re studying independently learners colonise the tiered seating in the same way you see tourists sat on steps outside a cathedral or at a party: it becomes special. You’re closer too – so you don’t need to raise your voice. The back of the class is no longer the back … it’s the top.